Following in Grand Master Wong's footsteps, our professional Black Belt Instructors are experts in both the art of Kung Fu, and the art of teaching. 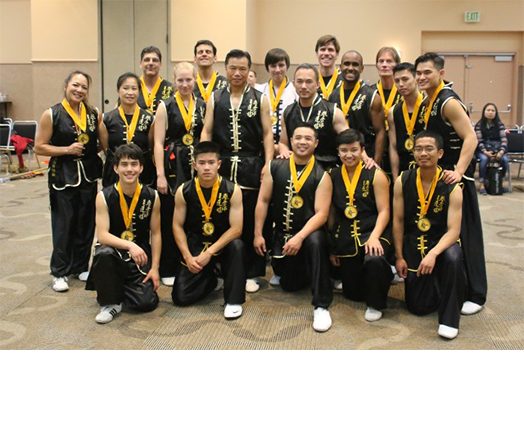 Each instructor is carefully selected and specially trained by Grand Master Wong through his Instructor Training Program. Because Instructors are continuously upgrading and refining their martial arts and teaching skills, our students are ensured of receiving the highest level of quality instruction and personalized attention. Our instructors have depth of knowledge, dedication, and experience, all of which enable them to be great teachers and motivators. Each instructor also has a wealth of experience that goes beyond the classroom including forms and sparring competitions, performing, full-contact kickboxing and lion dancing. And of course, they are well versed and highly skilled in the movements, intricacies, and applications of the many Kung Fu forms taught at the Academy. In addition, they have the heart and soul behind their teaching that gives our students an experience far more rich and diverse than available through any other training program. They are dedicated to their training as well as to continuous improvement in the classrooms they lead. Proficiency alone does not make an Instructor. Great skill combined with the determination to excel, the love of teaching, and the desire to help others learn and benefit, is the make-up of a Tat Wong Kung fu Academy Instructor. 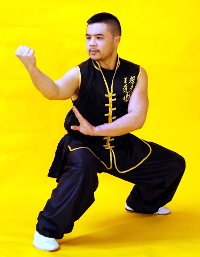 Master Jeff Chow has been a student of Grand Master Tat-Mau Wong for more than twenty-six years, and has been a chief instructor at the Tat Wong Academy since 1998. He was awarded the title of Master in 2013 and is currently ranked internationally by The World Organization of Wushu Kung Fu Masters at 8th degree Black Belt. 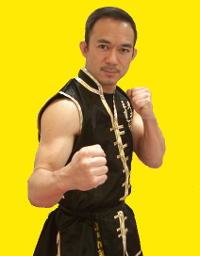 Master Chow has been fighting Sanshou for the past 15 years and is a competition champion. He was the Silver Medallist for the 2006 Pan American Games in the Sanshou 65-kilo weight category, and proudly represented the USA in 2007 as a USA World Team member. In 2009 and 2011 he served as the official USA Sanshou team coach. 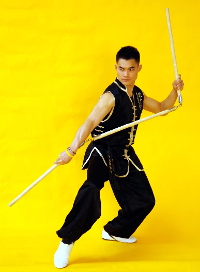 He is also a Gold Medallist from many International traditional form and lion dance competitions. 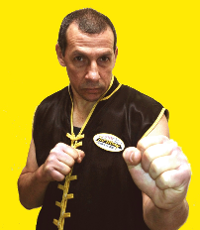 Sifu Barbosa has been practicing Martial Arts for over 33 years. 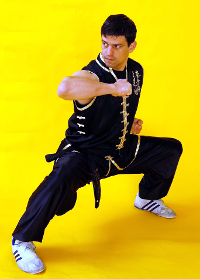 In his home country of Brazil, Sifu Barbosa trained in both Praying Mantis and Eagle Claw Kung Fu. In 1994 he traveled to San Francisco to study under Grand Master Tat-Mau Wong at the academy’s headquarters and discovered his passion for Choy Lay Fut Kung Fu. Through his many years with Grand Master Wong, Sifu Barbosa has also learned Tai Chi, Sanshou—Chinese Full Contact Fighting, and the art of Shuai Chiao—Chinese Wrestling. In his native country of Brazil, Sifu Felipe Godoy began his Martial Arts training with judo when he was only 6 years old. He expanded into the styles of Karate, Tae Kwon Do, Praying Mantis Kung Fu, and Fencing. In 1995 he discovered his true passion, Choy Lay Fut Kung Fu. He started teaching soon after that and has never stopped. After graduating from the University of Campinas, Brazil in 1997 with a degree in Physical Education and sports coaching, Sifu Godoy decided to join us at the Tat Wong Kung Fu Academy headquarters in the United States as a valuable part of our instructor team. And after many years of dedication to teaching and to advancing his own training, he was awarded the title of SIFU in December of 2006. 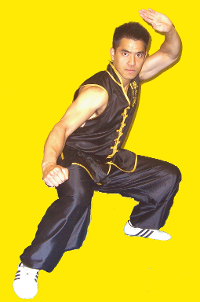 Sifu Godoy has competed in tournaments throughout the USA, as well as in Brazil, Venezuela and China. Among his many top honors are Gold Medals from the World Traditional Wushu Festival in Zhengzhou, China and a Gold Medal in Sanshou sparring from the Pan American Wushu Championships. 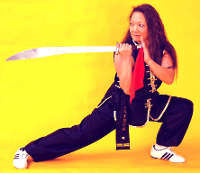 Sifu Gray has been training at Tat Wong since she was five years old. Right from the beginning, she loved performing and competing, especially sparring boys and girls alike at tournaments both locally and across the U.S. In fact, she was getting so many trophies that her family had to start getting rid of them. She received her ‘Sifu’ title in 2009 and is ranked as 7th-Degree Black Belt by the World Organization of Wushu Kung Fu Masters. In addition, Sifu Gray is also a licensed firefighter and an EMT. Sifu David Law was born & raised in San Francisco, the largest kung fu capital outside of Asia itself. He started his kung fu training at the Tat Wong Kung fu Academy under Grandmaster Tat-Mau Wong in 1992 at the age of twelve. His dream was to be Bruce Lee. Sifu Law began teaching kung fu at the Academy in 1996 and received his title of ‘Sifu’ in 2006. The title was given to him by Grandmaster Wong in recognition of his skills, dedication & commitment to passing on the benefits & art of Kung Fu. He also holds 7th Degree Black Belt Ranking from the World Organization of Wushu Kung Fu Masters. Sifu Law has served as the co-coordinator for the International Kung Fu Quest competition as part of the Disney Martial Arts Festival & the Golden Gate International Chinese Martial Arts Championship. He has also performed and competed internationally and has countless gold medals. Sifu Lee joined the Tat Wong Kung Fu Academy as a teenager over 17 years ago. While continuing to train and teach, he studied Social Welfare & Education at UC Berkeley. After graduation, ‘Teach For America’, the prestigious organization which provides excellent education to kids growing up in poverty, recruited Sifu Lee for his strong leadership skills and he briefly left TWKFA to teach 5th grade math in New Jersey. Sifu Lee received his title of ‘Sifu’ in 2013 and is internationally ranked at 6th degree of black belt. He has proudly represented the USA and Tat Wong Kung Fu as a member of the official USA National Sanshou Team and fought at the Pan American Championships in Buenos Aires, Argentina as well as at the World Championships in Toronto, Canada. Sihing Neher began his Martial Arts journey at age five, with judo. Later he tried Tae Kwan Do, Karate and Hapkido. At Tat Wong he discovered that Choy Lay Fut contains all of the above arts, and has been training for the last 16 years. The World Organization of Wushu Kung Fu Masters internationally ranks him at 5th degree of black belt. 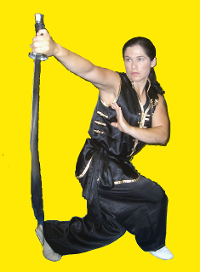 Sihing Neher won gold medals for hand and weapon forms at 2012 international tournaments in San Francisco and Brazil. He has performed at the 155th Anniversary of the Hung Sing Academy in Fushan, China, as well as various tournaments and events. Ever since watching Kung Fu movies in Chinatown as a little girl, Sijeh Seto wanted to learn Kung Fu. She dreamed of being just like those Kung Fu fighters on the screen, a dream that came true over 9 years ago when she joined the Tat Wong Kung Fu Academy. Sijeh Seto is currently a 3rd Degree Black Belt. Besides being an Instructor, she is also the proud mom of two Kung Fu kids: 22-year old Christopher, a 1st degree Black Belt, and 15-year old Danica, a 2nd degree Black Belt. 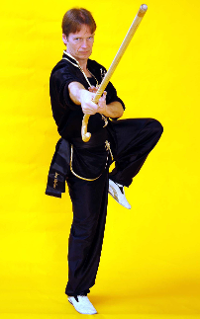 Sijeh Seto has won numerous gold medals in hand and weapon forms at top-rated competitions across the country. In addition, she won the 3-Star Grand Champion at both the prestigious Disney Martial Arts Competition in Orlando, and at the International Chinese Martial Arts Competition in San Francisco. With fifteen years of training under Grandmaster Tat-Mau Wong, Sihing Brandon Chew has practically grown up at our academies. His belief in “Do what you love and you’ll love what you do,” explains his long-time commitment as both a student and teacher at Tat Wong Kung Fu Academy. Sihing Chew trains in Sanshou (competing in Fresno for the Pak 4 “Stand Up & Fight”, as well as bouts in Florida, Texas, San Diego, Maryland, and Sao Paulo, Brazil), and in traditional forms (winning 1st place in the 3-Star event at the International Chinese Martial Arts Championship in San Francisco). He is ranked internationally at 5th degree of Black Belt. Sihing Will Lee was introduced to Martial Arts through his father and uncles as well as by the suggestion of a teacher who thought it would be helpful with his learning difference, Auditory Processing. At 6, Will studied Tae Kwon Do and at 9, tried Gung Fu and Choy Lay Fut, one of the disciplines of his dad. At 17, he became a teacher and enjoys working with all ages, from Tigers to Adults. Because of his learning difference, Sihing Lee understands the importance of trying to be your best, whatever “your best” is.